Harriet has made presentations to groups of students and their parents, helping them to understand what options are available. She has privately counseled students both nationally and internationally on their portfolios and has helped with essay preparation and the audition/application process. Her students currently attend a variety of schools including Brown, Carnegie Mellon, NYU, Boston Conservatory, MICA, Pratt, University of Michigan, RISD, UCLA, USC, Chapman and LMU. Harriet is a member of NACAC, The National Association for College Admission Counseling, HECA, the Higher Education Consultants Association and WACAC, The Western Association for College Admission Counseling and maintains active involvement in the area of visual and performing arts programs. Caillie’s favorite part of the application process is helping students in the visual and performing arts translate their work into writing. Her first experience with this process came when she was a film student herself in a media art program during high school, and only grew as she took on both design and writing positions during college. She was a lead designer in the Sustainability Office of UC Santa Cruz, and then a staff writer at two different publications while she finished her degree. Immediately after graduation she took on a research assistant position at Stanford University with a musicology professor studying audiovisual aesthetics. All of these experiences prepared her to join Creative Kid College Coach in the spring of 2016 as an essay consultant. Her extensive experience with visual art, writing and editing lent to her innate ability to guide students through the process of writing personal essays as well as artist statements. Under Harriet’s expert guidance, she quickly expanded to working with students on program selection and portfolio curation. Now she excels at working with students to marry any medium they flourish in with an accurate written portrayal of their skills and abilities, using her insight and guidance to help students use all parts of their application to express their unique creative passions. 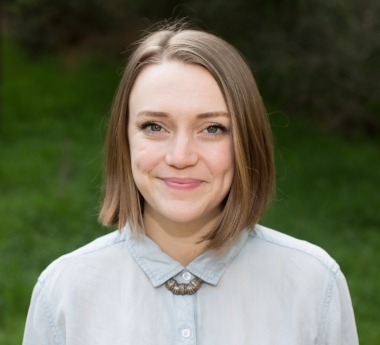 Caillie has continued her training in college counseling at UCLA and is a member of WACAC, the Western Association for College Admission Counseling. Eileen is an alumna of the San Francisco Conservatory of Music’s pre-college program and received a BA from Stanford University as a Music and French major. She has a Master’s in Music/violin performance from Manhattan School of Music, with post-graduate studies with Naoko Tanaka (Juilliard). As an adolescent, Eileen appeared as soloist with the Marin Youth Orchestra, Orchestra Da Camera, and Stanford Chamber Orchestra and in the masterclasses of the late Franco Gulli, Nathan Milstein, Henryk Szeryng and Isaac Stern. Eileen is an alumna of the Aspen,Tanglewood and Schleswig Holstein festivals (performed under the baton of Georg Solti) and played first violin in the American Symphony and the Trio celeste in the New York Metropolitan Area for several years. She also worked as an equity analyst at Bear Stearns (NY), Lazard Freres (Paris) and Colony Capital (Paris) as a financial analyst, editor and translator. She has wide-ranging experience in working with students in the arts with an emphasis in music. Guiding students to develop a college list and the right “fit,” preparing a strong college application, and coaching them through the audition process is her passion. Eileen teaches violin privately and helps musicians prepare for the arts’ supplement in Music. She is on the Board of the San Francisco Conservatory of Music and Lessons for Life, a non-profit organization that provides private instrument lessons to underprivileged students and holds a certification in college counseling from UCLA continuing studies. Robert’s love affair with art has been complex yet magical for over 20 years. Growing up in Los Altos and London in the 90s and 2000s, Robert’s fascination emerged from an obsession with cartoons he was rarely allowed to watch and old movies his Dad would rent from Blockbuster. Simultaneously, he adored his Mom, Aunt, and Grandma’s glamorous flair for hoarding beautiful clothes and magazines. His parents dragged him to plays, museums, and cathedrals while they made sure he had all the art supplies and art education he wanted. While he developed his craft in high school, Robert applied to multiple art programs for college. He chose the Rhode Island School of Design, and he graduated with his BFA in Textiles in 2014. During college, Robert interned for some of his favorite designers such as Vivienne Westwood before he established the eponymous label “Tropical Rob” in 2015. Tropical Rob is his nostalgic fantasy of printed and embroidered garments designed from Robert’s drawings and paintings. The line has been sold in Opening Ceremony and featured in vogue.com, Paper magazine, and Britney Spears’ “Slumber Party” music video among others. His clothes have been worn by key talent including Cassie, Kali Uchis, CupcakKe, Justine Skye, and Tinashe. More recently, Robert has begun teaching textile workshops to high school students. He is excited to help students realize their vision as they venture into the arts because he is inspired by the individuality of other artists. Robert sees the intersection of art and writing as essential to the ongoing refinement of one’s artistic personality in both an academic and professional environment. He believes that creatively presenting the student’s unique voice in the application process reveals an authenticity that is fundamental to successful admissions outcomes. Robert is thrilled to share his passion and hopes it is infectious! Robynne’s approach to coaching is influenced by her training as a clinical psychologist and her experiences working as part of an administrative team. She has extensive experience working with young professionals just starting out in their careers as well as seasoned executives and leaders. Her approach with clients is empathetic, straightforward and pragmatic. She encourages clients to look at situations from alternate viewpoints, search for creative ways to approach problem-solving and to begin implementing manageable steps towards change. Robynne helps clients to identify concrete career goals and identify language for articulating those goals. She helps clients develop greater ease and sophistication with respect to the interview process and to begin taking the necessary steps to achieve their goals. She helps clients to confront their fears and self-defeating behaviors so they can begin to take manageable risks. She encourages clients to look at unhealthy patterns and dynamics that may be impeding their capacity for growth.